In order to gain greater market presence for its products, Hyundai Motor UK have established a privilege affinity scheme for selected customer groups, known as Affinity Partners. 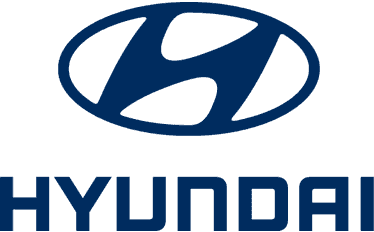 Affinity Partners are generally selected by Hyundai Motor UK and Hyundai Motor UK Fleet Operations. Do I qualify for a Hyundai Affinity Discount? The Affinity programme is for the use of current employees, retired employees drawing up a pension or up to date members of an Hyundai Affinity partner companies / member organisations. Proof of employment, pension receipt or up to date membership will be required at the point of order with the Hyundai franchise dealer in the UK. Family members can also qualify but proof of relationship to the Affinity member will be required at the point of order with a Hyundai franchise dealer in the UK, along with proof of employment, a pension receipt or an up to date membership from the Affinity member. The offer is available for the Affinity Partners and their immediate families. For details see the diagram below for the eligible members. There are savings to be made depending on the Model, but generally, customers can benefit from a saving of hundreds to thousands off the original price. Family members showing in the relationship tree do not however need to reside at the same address as the eligible member. Where the purchaser has a different surname to the eligible person then a signed statement from the eligible person confirming the relationship must also be provided to the supplying dealer. The Affinity discount cannot be combined with any other Hyundai Motor UK offer.